Hello there! 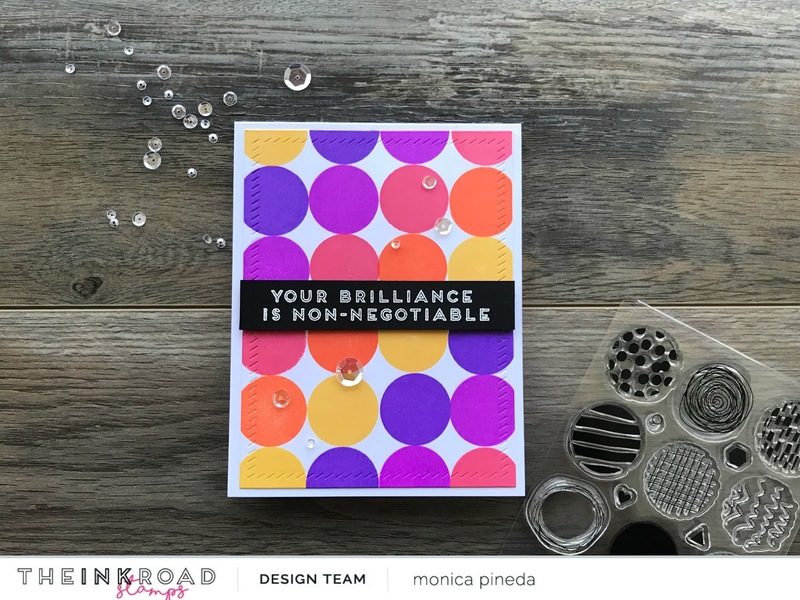 Monica here with a super simple and colorful card to compliment someone fantastic in your life. Lets get right into it. 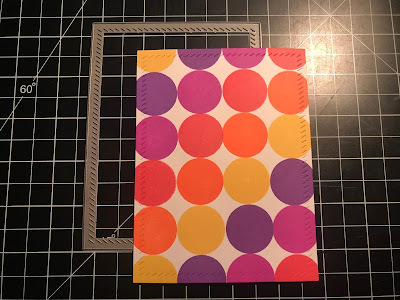 I used the solid circle stamp from the Full Circle stamp set from the Ink Road for some repeat stamping to make the colorful background. 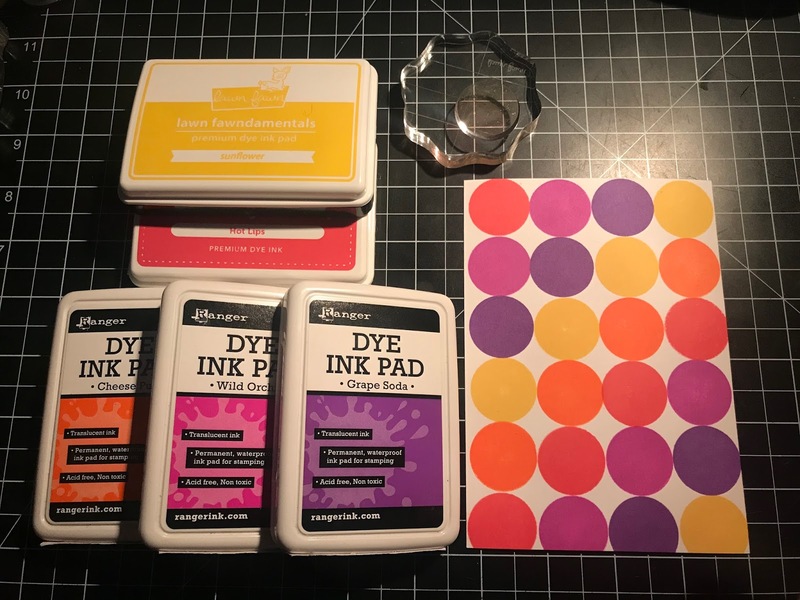 I used Sunflower ink from Lawn Fawn, Hot Lips from Simon Says Stamp and Wild Orchid, Grape Soda and Cheese Puff inks from Ranger. I ended up double stamping each circle because I wanted them to be very bold and bright. The panel was trimmed using the Finished Frames die set from Avery Elle. 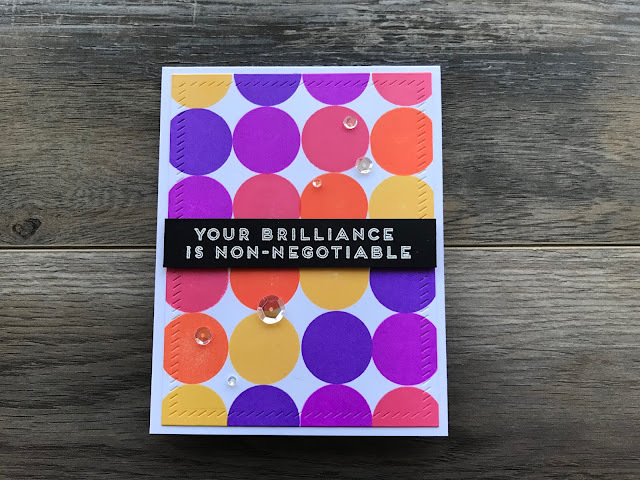 To finish the card, I white heat embossed the sentiment from the Compliments Vol. 2 stamp set onto a strip of black cardstock and added foam tape behind it. I added some Moonshine sequins from Simon Says Stamp and called it a day. Super simple, right? I hope you give this card a try. Thanks so much for stopping by today, I’ll see you soon.